Ribbons and sparkles and twinkle lights and princess crowns, and the sweetest girl ever. This session was an absolute joy to photograph, from beginning to end. Isn't she just a dream? She read her mommy's childhood books and played with her adorable puppy, and we giggled and talked about life through a four-year-old's eyes. I'm happy to say that I've been able to photograph this darling girl every summer since she was born. I have the coolest job ever to get to meet the sweetest families in Tampa Bay. I am currently booking for October and November sessions, if you would like your own sparkly, magical, beribboned canopy session in the forest. And with a puppy, of all things. What could be better?! Reach out to me and let's make it happen! I love this sweet girl and her precious mama and daddy. I met them when this very big preschooler was just a babe in her mama's tummy, and I've been so blessed to be able to watch her grow these past three years. Earlier this summer, to mark Isa's 3rd birthday, we went back to the Sand Pearl, which holds very special meaning to Isa's parents. We read her favorite books, we twirled in tutus, we giggled, we dressed up, we played Mommy, we played on the white dunes, splashed in the Gulf, jumped a few waves and got a little bit wet :) and snuggled in blankets with her Mama at the end. I left the session so full and happy, nostalgic and thankful. Like I'd just opened a gift that meant the world to me. Isa's grandparents were in town to visit her (they're from Kentucky too... my favorite kind of people! ), and they told me how many of her photos they have up in their home... how they sometimes tear up when they look at them, and how much they appreciate having these photographs to keep Isa close, even though they can't see her every day. It was precious of them to share this, and it was encouraging for me to see them so delighted about something that I can give them. A connection to their sweet girl miles away. And I will use this gift of mine somehow, someway, until I don't have anything left to give anymore. Just for old time's sake... the last photo (with her cute fur brother, Spencer) is from 2014. It's unbelievable how much Isa has grown and changed in a year! Time passes quickly, friends. Don't waste a minute of it. It was an absolute pleasure to meet this sweet new mama and daddy. We got to talk about parenting philosophies, infant sleep patterns (and techniques for getting them to sleep! 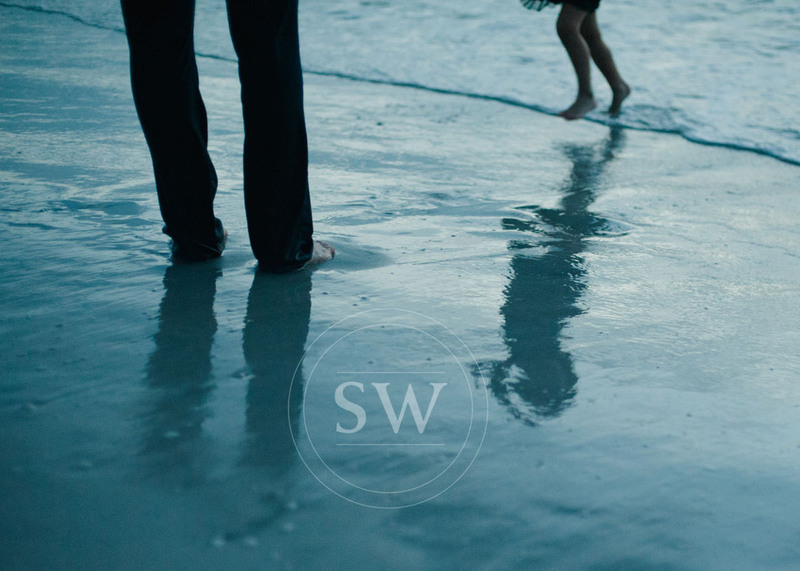 ), living close to the water, surfing and teaching, and everything in between. I have dearly loved not only photographing these new little bundles of joy for the past 7+ years, but also to be welcomed into their "first homes". To be able to get to know the wonderful people who have the privilege to guide their little hearts through their journeys in this life. One of my favorite mamas EVER is on the blog today. Meet Ruth… and Olivia and Maryn. "Everything has changed. What used to be important seems just silliness now. My every waking moment is focused on these two precious girls and our family." "My mom loves to play the piano; she encouraged all of us (6 siblings) to play an instrument. Since we have grown up, she has continued to expand her talent through lessons and daily practice and is an amazing pianist. When she visits, I know I can count on daily serenades and even her own compositions." "Olivia: her beautifully kind spirit. I used to pray when she was still in utero that God would allow her to bring joy to everyone she meets--and she does!" "Maryn: her scream! She is not afraid to let her presence be known. She will need this characteristic as she gets older. :-)"
"I love seeing moms that are calm in the midst of chaos that children naturally create. They give me hope that I too can not worry or not stress about the little things." I also asked Ruth to tell me about the most important lesson her own mother ever taught her…. and Ruth's answer made me tear up. And I dare say that it will make her mama proud to read her words…. "To honor your father and mother. She was an only child (after her twin sister passed away from Leukemia at the age of 5) and she remained a supportive daughter to her mother until my Grannie's recent passing in 2011. Her daily emphasis on the importance of family and the sacrifice that daughters/children can and should make to honor their parents has made a life-long impact on me. Family is our greatest treasure." With Mother's Day just around the corner, I asked some of my favorite mamas a few questions about motherhood, how it's changed their lives, what they love the most. Some of the things they shared with me made me smile. Some answers made me giggle, and other responses made me cry. (You know me!) I'm very lucky to know so many amazing mamas who have hearts of gold! I've known these sweeties since Ocean was in his mommy's tummy, and I'm so blessed to have been able to document his sweet family every year since. Ocean's Grandma got to join us for our session too, and it warmed my heart to see them playing together. I know that little boys tend to have their own ideas of what constitutes "fun", so we decided to sneak up behind the ladies and "trick them". Grandma was a terrific sport! Mamas and Grandmas of little boys are pretty lucky, I think. And so are those little boys. Don't forget that Mother's Day is this coming Sunday! All this month, I'll be featuring photographs of some really inspiring mamas, who are offering their best advice and thoughts on motherhood. There is even a giveaway or two in the works, so be sure and check back or add this blog to your reader/rss feed. And if you're thinking of having your own photo session sometime in the future, make sure you sign up for our newsletter over there to the left! I promise never to bombard you with email, but only let you know of fun things, special announcements, and upcoming dates and events. If you're sold on a session right away, then click on the word "contact" below this post, or in the menu bar at the top of this blog. I can't wait to chat with you. How have you evolved through motherhood, like Ocean's mama says? Do you stop folding laundry and play with your kids? (That one convicted my heart.) I'd love to know your thoughts, so leave a comment below this post! "Mama, I want to give you one hundred kisses!" ~my Lila (about twice a week) And I'd happily let her. One of the things that I love most about being a mama is... getting one hundred kisses in a row. :) Truly, I love the affection my children give me, and the affection they allow me to give them. It's a wondrous thing. Snuggles are one of our love languages, and we always hug and kiss each other every time one of us leaves the house. Even if it's just to the grocery store. Our favorite way to watch a movie is cuddled up on the couch together, pillows thrown all over the place. Parker melts into a puddle when I scratch his back or run my fingers through his hair. It's how I used to get him to sleep when he was a baby, and he still adores it. Charlotte won't go to sleep at night without running into the living room to "get Daddy's kiss" first. How do you and your kids show that you love each other? Do you have your own little "love language" or bedtime snuggling rituals? I'd love to know more about how mamas love their babies, so tell me in the comments below! Also, don't forget about Mother's Day Mini-Sessions happening this weekend! It's a terrific gift idea, and one that most mamas will appreciate far more than flowers and dinner out. Photographs last forever, and I hope you'll let us encourage you on your motherhood journey by photographing you with your own little loves (and even your own mama too!). Click here for more information, and register through the CONTACT button at the top of this website or by calling 727-698-0344. Sessions are limited, and several have already filled up, so don't wait! 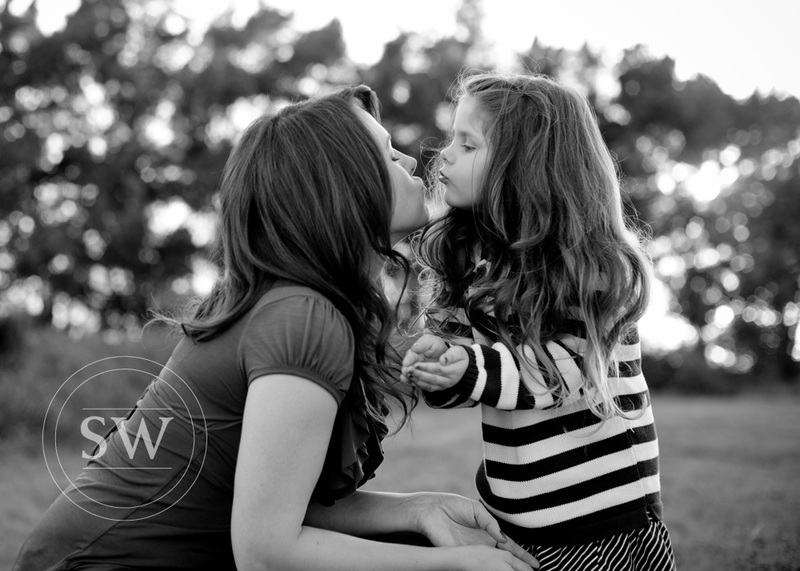 Book your Mother's Day Mini-Session now! Today, I put together a collection of little things that make me happy and add a special meaning to my life, or remind me of meaningful people or times past, or things to look forward to. I plan to make Things I Love a regular feature here on the blog, so I hope you'll come back for more! I believe to have a meaningful life, you need to surround yourself with things (and people) that hold special meaning to you. Whether that may be artwork, letters from your family, or photographs of your kids… whatever brings your heart joy and reminds you of someone/something you love is meaningful and important, and should be celebrated! Here are a few of my favorite things to have around me, besides my people, of course. Things that mean a lot to me are often art-related. I bought these three sweet watercolor prints last year and love that they tell the story of Chris + me + us. You can get your home state (or states, if you're nomads like us) from Pinecone and Poppy too. I swoon over typography. Lettering, calligraphy, and gorgeous typefaces. I have taken a calligraphy class or two, and my goal is to carve out more time to practice it. Someday I'd like to offer a few art prints with sweet mama sentiments that lift my spirits, and hopefully yours too. Until then, I'll just continue to be inspired by this hand-lettered print that I bought for the girls' room, and this adorable card, and all of these (especially that gorgeous swoopy S below). Sweet scents and delicious foods can sure conjure up terrific memories, can't they? I have an entire recipe binder full of wonderful memories and cherished family recipes that mean the world to me. My mom's potato salad, Momaw Bertie's Mandarin Cake, and Trish's apple dumplings. Our sweet tea needs no recipe, I know it like the back of my hand. Actually, I am trying my best to quit sweet tea. (gasp) Downright blasphemy from a Southern girl's lips, right? Well, I hope to at least cut back dramatically. I am embarrassed to admit how much I can consume in a days' time, and how little water I squeeze in. Sweet tea is a comfort food for me, and it reminds me of warm days watching a jar of tea slowly steep in the sunshine of Momaw and Popaw's side yard. Yellow lid, soft green grass, sparkling amber tea. Such a calm, happy memory for me. But healthy, it is not. I am from the South, you know, so a cup to a cup and a half of sugar goes into every pitcher. (I know!) So I'm trying to cut back and make it more of a treat, rather than a habit. Since I cannot go without caffeine altogether, this delicious cold brew coffee has been filling in the gaps for me. There will never be a substitute tea for me (it's my standard Luzianne or nothing), but I can distract myself with flavored coffee so much more easily. My favorite flavors are Sweet Delight, Mocha and Sea Salt Caramel Mocha when I'm feeling super fancy. I add honey and almond milk to mine, and a little ice. I think I might try Caribbean Coconut next. I do love anything with coconut. A few practical things that add meaning to my life are my Day Designer, my Simplified LifeBinder, and my PowerSheets. Honestly, they deserve an entire post themselves, but let's just say that I couldn't make it a single (productive) day without this super trifecta of organization and planning. They are beautiful, and they make me so happy. Bonus points that they were all created by strong, driven women who have a heart for creative entrepreneurs (and mamas). And it goes without saying that some of the most meaningful things in my life -- besides my family -- are my family photographs. They are all around me, smiling up at me and encouraging me to keep my camera's shutter clicking with intention. To show them that they are important to me, and that their beautiful faces are truly God's artwork. The best kind! And it is my honor, and my life's work, to create meaningful photographs for you and your family. Momaw meeting Charlotte. Priceless to me. Possibly my favorite picture of Parker and Lila together, ever. Lila and her beloved Bitty Baby. Charlotte's "baby" and her shenanigans. She climbs into this shopping cart all by herself and I'm always afraid she's going to tip it over. She's so proud of herself! This scrunchy smiley face, and all of those rainbow loom bracelets. And that smattering of freckles that dance across her cheeks and nose. Ohhh. Things I love, for sure.